Kentucky Fried Chicken & Waffles: KFC REALNESS! As part of their Flavors of the South campaign, KFC is serving up the Southern classic, fried chicken and waffles! 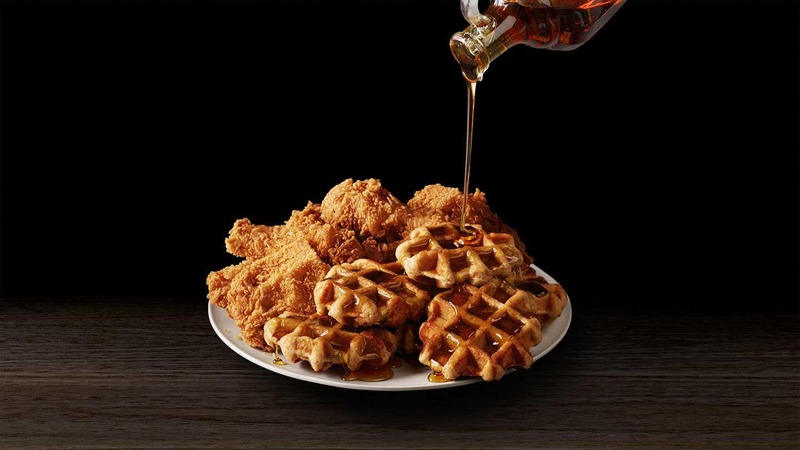 Kentucky Fried Chicken & Waffles combines KFC's signature fried chicken cooked with the Colonel's eleven secret herbs and spices with a warm scrumptious waffle and Mrs. Butterworth's® Thick 'n Rich Original Syrup. 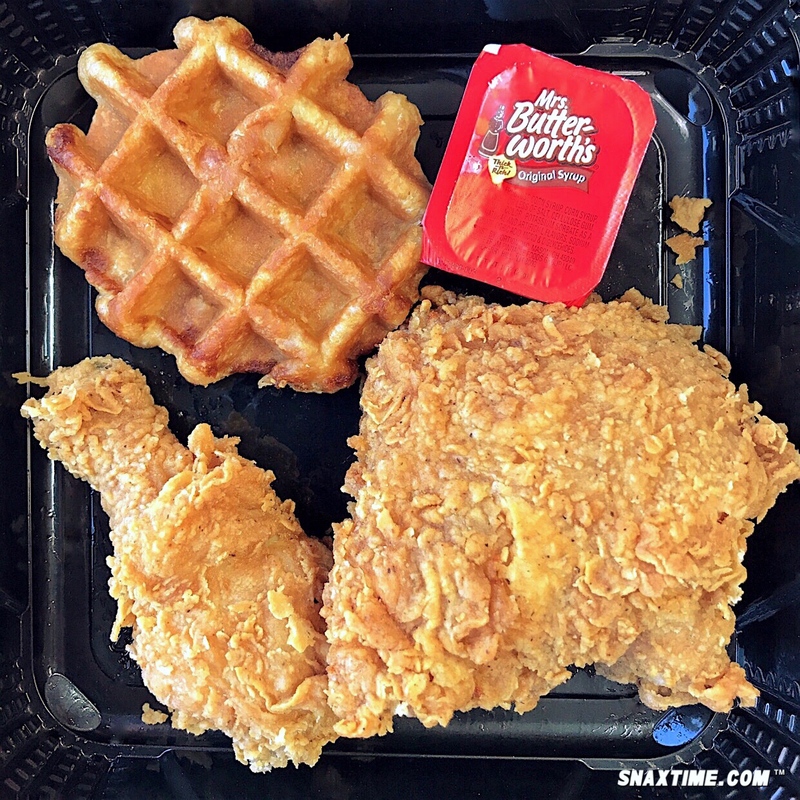 The waffle in this new offering is sweet, dense and caky and tastes wonderful alongside KFC's classic fried chicken. Mrs. Butterworth ties the dish together with the perfect amount of sweetness to counterbalance the savory, peppery chicken. This dish is pure decadence! Kentucky Fried Chicken & Waffles comes with your choice of Original Recipe® or Extra Crispy™ chicken or Extra Crispy tenders. A Chicken & Waffles Sandwich with Hot Honey sauce is also available. For a limited time at participating locations only.